A janitor’s work usually doesn’t begin until everyone else in the building has called it a day. That may change for many cleaners, however, if daytime cleaning continues to gain fans. While still not prevalent in America, daycleaning has long been popular in Europe, where many countries have adopted it as a best practice for sustainability. Cleaning during the day is an incredibly simple way to protect the environment and save money. If janitors aren’t in the building at night, the lights can remain off and dramatically reduce energy consumption. With potential energy savings of 10 percent or more, it makes sense that more companies are receptive to daycleaning. While not appropriate in all settings, such as dental offices with exam rooms that are occupied all day, daycleaning can work for most facilities. Office buildings are the primary market, but hospitals, factories and schools can also be cleaned during the day. Most building service contractors will provide day cleaning if asked but few actually push the service. Given the benefits of daycleaning for both the contractor and the customer, it makes sense to take a proactive approach and use the service as a point of difference from the competition. There are many selling points a BSC can use to persuade a customer to switch to daycleaning. Most convincing is cost savings. First, businesses that offer day porters to fill the gap between night cleanings can eliminate that service entirely. Second, cutting night service reduces the utility bill substantially, typically by 4 to 10 percent. That’s strong motivation for businesses that typically pay much more for utilities than cleaning. Another appealing benefit of daycleaning is that it encourages honesty and trust between customer and client. By working among building occupants, janitors are less likely to steal or slack off — and the business is less likely to suspect the cleaning crew of negative behaviors. Daycleaning puts a face on cleaning. When people have seen the janitor and maybe even know his or her name, they are more likely to feel a sense of responsibility to help keep the building clean and will pick up after themselves. Face-to-face contact also makes communication direct and clear, which leads to satisfied customers. In one case study by the Building Owners and Managers Association (BOMA), daycleaning reduced tenant complaints about cleaning by 70 percent. The upside of daycleaning is a two-way street. As much as customers are pleased, the janitors themselves are even more satisfied with the system. Daycleaning reduces employee turnover rates because people are happier working day shifts and they feel more valued when they get compliments directly from tenants. Daycleaning is not without its challenges. Many BSCs have tried and failed to implement daycleaning. Their most common error is to simply transfer their nighttime operations to the daytime. In fact, it is critical to take a new approach to cleaning. Daycleaning isn’t night cleaning done during the day. It requires new skills, tools and methods. When switching existing accounts from night to day, it’s critical to maintain an open line of communication with the customer. It can take several months for tenants to adjust to the changes and both parties need to be prepared for a few kinks along the way. The most important skills required for daycleaning are communication and customer service. Those are skills that may be lacking in janitors and managers who work nights and have little or no direct contact with tenants. A contractor for State Farm offers a customer service class to educate its janitors on how to work among tenants. The company also requires its janitors to carry two-way communication devices, which allow non-English speakers to quickly contact someone who can translate between worker and tenant. Organization is an important key to the success of a daycleaning program. BSCs accustomed to night cleaning will need to make adjustments to allow for staggered shifts over a 10-hour workday and be better prepared to cover absenteeism. A crew can generally cover for a 4-hour shift that’s missed, but not an 8-hour shift. Daycleaning also requires special tools. Noise, odor and safety are serious issues when janitors will be doing their work next to building occupants. In fact, fear of such things is the biggest reason that building managers are reluctant to try daycleaning. New technology options for sound reduction include low-decibel equipment and microfiber tools. Battery-powered products are typically quieter than their electric counterparts and they are safer because there are no cords to trip over. Cleaning chemicals should be neutral and low- or no-odor. For example, State Farm doesn’t allow its contractor to use acids or butyls when tenants are in the building. It is also important to use equipment that is in good repair. An unsightly vacuum goes unnoticed when no one is around, but during the day tenants may question the contractor’s professionalism. Cleaning processes are also different. How and when BSCs clean changes when tenants are present. Ideally, floors should be cleaned when the building is unoccupied. 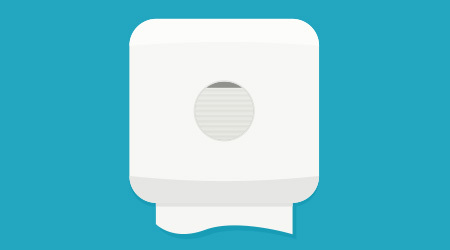 This reduces trip-and-fall accidents and allows odors to dissipate before tenants arrive. If this isn’t possible, then cleaning must be done in phases so there is always a clear, safe path for tenants. Stripping must be scheduled for a weekend or holiday. Although this may involve paying overtime, it can actually save money because the entire process can be done at once rather than in phases, which saves substantial setup and teardown time. Daycleaning should never be an interruption. Restrooms should be cleaned before or after tenants arrive (a phased closing of restrooms is a second but less favorable option). Scheduling is important for public gathering spaces, such as conference rooms. The BSC should coordinate with the facility to get a daily meetings schedule and then assign cleanings accordingly. Finally, clearly communicate with the facility. Let tenants know if they ask a janitor not to vacuum or dust at a scheduled stop then they may not get those services for another day or week. Create a partnership with the facility to get buy-in for the new cleaning procedures; for example, building management can encourage tenants to set waste receptacles outside cubicles at set times for pickup. “Cooperation and flexibility between the customer’s staff and ours create a pleasant work environment for everyone,” Hammers says. Listen to Steve Spencer, facilities specialist for State Farm Insurance explain the advantages daycleaning can bring building service contractors and their customers in the podcast, Daycleaning Benefits. Becky Mollenkamp is a freelance writer based in Des Moines, Iowa. She is a frequent contributor to Contracting Profits.